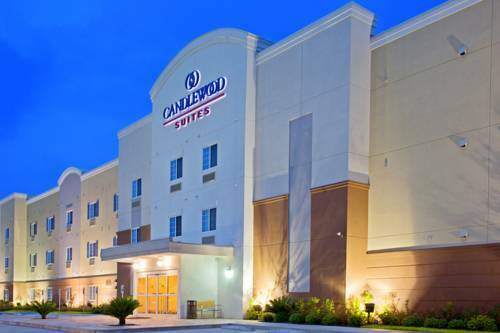 Easy Access to Houston Airport from Hotel's LocationGuests will find the Candlewood Suites Houston IAH / Beltway 8 hotel to be a convenient place to call home while on the road. Just minutes from the Houston Intercontinental Airport (IAH), the hotel's perks, such as free high-speed, wireless Internet access and airport shuttle help make your travels hassle-free.Business travelers enjoy our proximity to both downtown Houston and the Intercontinental airport. The hotel's extended-stay options are perfect for those on long-term assignments looking for an alternative to corporate housing. The on-site Business Center and a large in-suite work desk are ideal for completing a project or a proposal. There are also corporations, such as, Halliburton, Baker Hughes Inc. and Arco, that are a short drive from the hotel's location.Houston, Texas is a wonderful vacation spot and the sprawling metropolis has something for every visitor. Get your shopping done at the nearby Deerbrook Mall and then venture into downtown to explore the nightlife.Stay at the Candlewood Suites Houston IAH / Beltway 8 hotel for features like the plush "Comforts of Home" bedding collection and free laundry facilities to make you feel more at ease. You can choose to spend your day at the hotel and soak up some sun by the large, outdoor pool or relax in the luxurious whirlpool spa. We hope that we quickly become one of your favorite hotels in Houston, Texas.